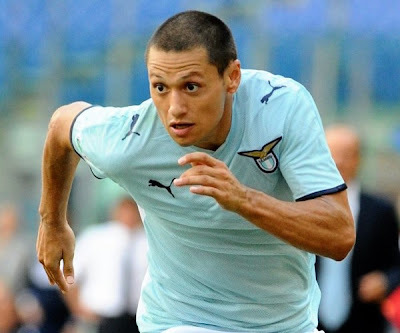 The Zygo Soccer Report: [VIDEO] Lazio's Zárate Punches Referee After Lazio Loss to Bologna? [VIDEO] Lazio's Zárate Punches Referee After Lazio Loss to Bologna? It hasn't been a good week for Lazio, on Wednesday they lost to Roma in the Coppa Italia and today they lost 3-1 to Bologna and fell below Roma on the Serie A table. To make matters worse, it appears that Lazio's Mauro Zárate managed to make contact with a referee when throwing a punch during a post match dispute with Bologna players.